We'll confirm via phone or email that we can help your team. Set up your profile to ensure you receive the best matches. Log in and post a job, our job-writing tool will help you write a better job description so you can find the best candidates. Pay only when you match with a professional and move forward with your project. 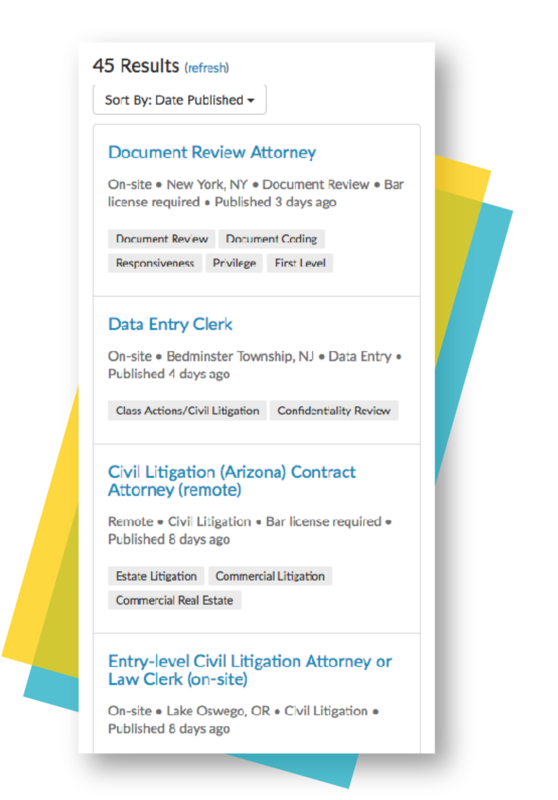 Our matching algorithm utilizes 20 objective data points to recommend the right legal professional for your job, instantly. Browse our vetted candidate recommendations and choose the best candidates for your project needs. Once you're ready to hire, message candidates directly through our platform. Our Client Success Team is always here to help you engage with the right candidate for the job. After you make a hire, our billing system allows your project attorneys to easily log their hours. 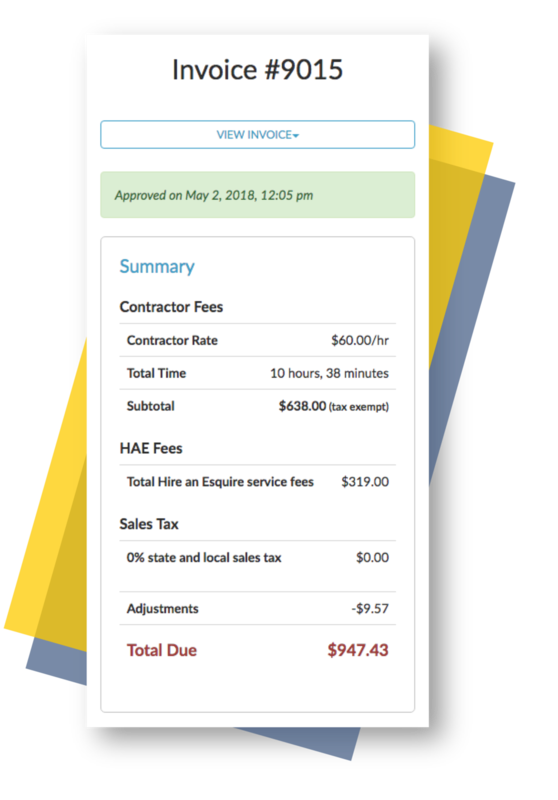 You can approve and pay invoices with the click of a button. We handle payroll and benefits so your team can get back to the billable work. I had a very intense, complicated, large case filed in St. Louis and needed someone on the ground who was familiar with Missouri law and toxic torts. Hire an Esquire connected me with the perfect attorney and the entire experience, from hiring to invoicing, was seamless. I would highly recommend the platform. Hire an Esquire is very flexible to meet each client’s specific needs and can find qualified attorneys to work on complex projects with very short notice. Say goodbye to paper forms, antiquated recruiting processes, and overhead costs. You focus on doing great work—We’ll handle the rest.